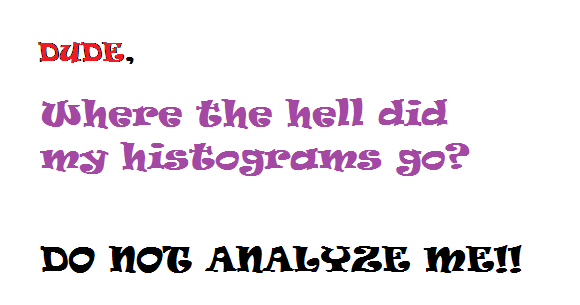 Dude, where the hell did my histograms go? 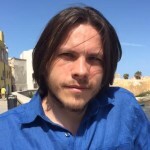 Playing recently a little with one of the databases having as a task improvement of its overall performance I had noticed a group of queries with hundreds of child cursors. Let me show you one of them. Looks more or less like this – logic doesn’t matter at the moment. As you can see there are almost 1K children. Only 12 of them can be used as they have is_shareable set to Y. It may show up because it turned out that after building a new cursor for specific bind variables, the plan already exists, so the selectivity ranges of predicates of the existing cursor for that plan and the new cursor were combined under the new cursor. In that case the old cursor is marked as IS_SHAREABLE=N. All of the cursors were resolved by the Adaptive Reoptimization – cardinality feedback has been used. Additionally each cursor child used Adaptive Plans to resolve its plan on runtime. The database has examined the bind value when computing cardinality, and considers the query “sensitive” to plan changes based on different bind values. For each execution of the query with a new bind value, the database records the execution statistics for the new value and compares them to the execution statistics for the previous value.If execution statistics vary greatly, then the database marks the cursor bind-aware. Almost all of the child cursors are bind aware, so the oracle controlled or still controls (depending if cursor is still shareable) if bind variables fit in the selectivity ranges of the query predicates fixed to the existing cursor. You can take a look at those ranges in v$sql_cs_selectivity view. A form of reoptimization known as statistics feedback (formerly known as cardinality feedback) automatically improves plans for repeated queries that have cardinality misestimates. The optimizer can estimate cardinalities incorrectly for many reasons, such as missing statistics, inaccurate statistics, or complex predicates. Accordingly to this theory my understanding is that in my case each time the cursor child is created by reoptimization oracle still believes it can be improved by reoptimization in the next run. Hm shouldn’t be the reoptimization eventually completed after few tries, not after hundreds!! My bet was that some stats may be missing and CBO got crazy :). the CHICKEN_ORG table has become my candidate to become a culprit. I checked DBA_TAB_COLS_STATISTICS and found out there is no histogram for any of the columns. Here they come. Nice, but why weren’t they gathered during the night statistics run. Don’t know yet. Let’s know find the query cursor and flush it from the shared pool. Of course you can flush whole the shared_pool but I avoid it if It is not required. So the second run of the flush did the job. Now I need to let my db work for a while to check how the cursors look like for the query with stats in place. Wow, how beautifully it looks now. No reoptimization. I still don’t understand why child 0 is still shareable and is marked as bind aware. Accordingly to the documentation https://docs.oracle.com/database/121/TGSQL/tgsql_cursor.htm#TGSQL94743 child 0 should be marked as non-shareable and from the example in the doc it seems that only the new created child 1 should be marked as bind aware cursor. I have seen some examples with BIND_AWARE hint that could cause this, but here I don’t use it and Advanced Cursor Sharing should do its job. BIND_AWARE hint tells the optimizer that we believe the query is bind-sensitive, so it should use bind-aware cursor sharing from the first execution skipping the bind aware cursor discovery steps performed by ACS mechanism. If you have any ideas please enlighten me!! Job done, can go home!! Next day comes, I want to check this query and… holy moley.. again hundreds of cursors, what happend? None again. Hm… Is there something wrong with the statistics configiruation for the Automatic Statistics Gathering job? – AUTO : Oracle determines the columns on which to collect histograms based on data distribution and the workload of the columns. The column SYS_STSY00FOL9RCZFW3#JF5FHV8U0 has skewed data so a histogram should be build upon it. No stats again. After some investigation and correlating of LAST_ANALYZED on CHICKEN_ORG with sessions active during that time it turned out that some old jobs ran in the night after the stats had been gathered by Autotask. That jobs were using using analyze table to compute stats after some table data manipulations. The culprit was found. ANALYZE TABLE COMPUTE STATISTICS removes histograms!! !